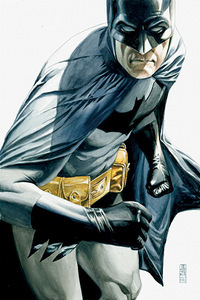 If you read the last issue of Grant Morrison's Batman: RIP and thought "hey wait a minute, Batman didn't really die" well, he might die here since this is now billed as the actual end to that story. Yeah I don't get logic of these cross-pollinating event books either. But then again, superhero stories never really end anyway, do they? Who knows what's really going to happen in this book which is definitely turning out to be a crazy bit of superhero ragnarok as Darkseid is reborn and reshapes the world into a nasty place. I don't know for sure if Batman is going to die in this issue but I'd be remiss if I didn't mention that something potentially earth-shattering could happen here. 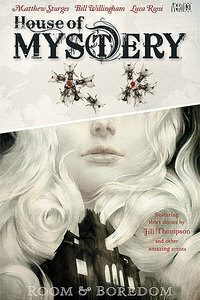 I mentioned this book in this list before, back when the first issue was released, and it's worth mentioning now that the first softcover collection is out because it's been one of Vertigo's highest acclaimed new books. Not surprising since it comes from the creative minds of Vertigo's most acclaimed books - the Fables franchise. Bill Willingham and Matthew Struges write this anthology series that is structured around a supernatural bar in which the patrons pay their way by telling strange and otherworldly stories. This first volume collects the first 5 issues of the series and like all first volume Vertigo books it's priced at an affordable $9.99 so to make sampling a new book that much easier. Shaun Tan's last book The Arrival was a critically acclaimed book that was part graphic novel, part collection of beautiful full page prints. His work takes the fantastic elements of children's book and renders them realistically into our own world. 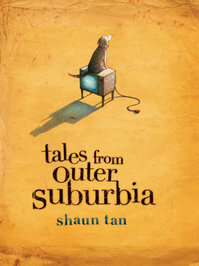 Here he presents fifteen short stories in which a strange situation occurs in the down to earth reality of suburbia. Things like a wise water buffalo that lives in a vacant lot, a nut-size foreign exchange student named Eric and a sea creature that appears on a family's front lawn. There's been a lot of Frank Miller reprints flooding the shelves lately, especially of his long and historic run on Daredevil, but this is the one that it's all about. This is the one where then-regular Daredevil artist, David Mazzuchelli, transformed into the master storyteller he's known as today. This is the one where Frank Miller went from being a successful writer/artist of ongoing monthly comics to a creator (and collaborator) that told complete, self-contained and character-defining stories. 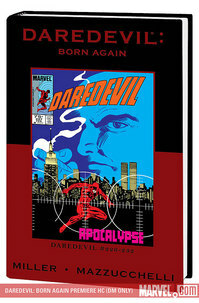 And this is the one where Daredevil became a book that would be here on out about the main behind the mask, Matt Murdock. Yeah, it gets a little crazy in that last chapter with that very '80's bad guy- the bare-chested, drug-addicted, Vietnam Vet named Nuke - but this is an amazing book that reads like a great film. So good that it took almost 20 years for the book to live up to it, when Brian Michael Bendis finally made it great again with his run a few years ago. Is your Collector-sense tingling? If so you better hit the store early this morning because this one is going to go fast. The latest comic release to get a barrage of mainstream media coverage is also a comic that features our President-elect on the cover and if you tried to buy a newspaper on the day after he was elected you'll have an idea of how fast this book is going to fly off the shelves. Not to mention the fact that the book has probably been underordered since no one expected the media flurry. Bring your own mylar bags! Barack Obama actually only appears in a backup story of this issue. The main story deals with Peter Parker going on a date or something. 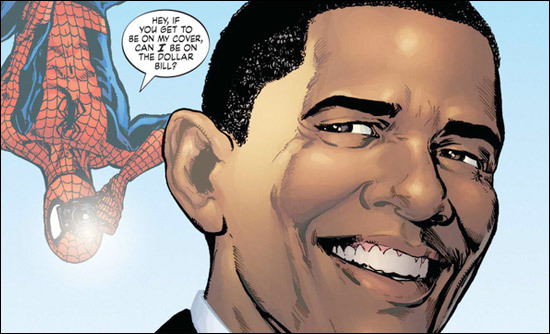 But this is the first time Obama has appeared in the Marvel Universe which historically sticks close to the real world as far as presidents go, unlike DC which has people like Lex Luthor as president. 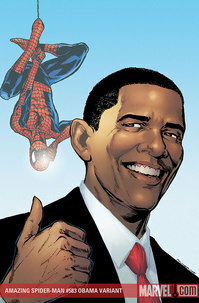 Plus, Obama is an admitted comic fanboy who used to collect Spidey comics so you know this has got to make him feel pretty cool (I mean if he has room to feel any cooler than he already does). A new mini-series of the best Hellboy series that doesn't have Hellboy in it. A quickie collection of the first few issues of Jeff Smith's new post-Bone series.